In 1986 I traveled to the Peruvian Amazon Jungle when I was single and wanted a truly rustic adventure spending my days and nights under the deep forest canopy if not canoeing around some of the backwaters. It was, well and truly, one of the most invigorating and inspiring journeys of my life...and one, along with my African safaris, inspired me to travel. Alas, it is now almost 30 years later and, while I am extremely excited to return to the Amazon jungle, I am not going to be roughing it, or spending quite as much time, in the biosphere that impresses me so much. And I am taking my 18 year old son with me as a "father-son" trip before he heads off for his first year of college, so it isn't going to be all about my getting that great photo or my individual experience. I am, now a bit wiser and maybe a step slower, more than ready for new perspectives on a fascinating area that far to few people experience. I have organized this trip through G Adventures (which, as it develops its brand) offers trips that range from the truly rugged to pretty much, sort of, luxury. This nine (9) day trip is leaning more to the comfortable and fairly well taken care of side...but isn't quite what one would call luxury. It conveniently it takes two weekends and only one business week - and starts in Lima, Peru for one night at the Dazzler Hotel (a good thing after the 1:45 a.m. flight I have to Lima! ), then an early morning flight the next day over the Andes to Iquitos, Peru for a visit to a Amazonian Manatee Rescue facility and a quick city tour (which I understand has grown significantly, if not for the better). While the accommodations will be simple, they are a huge upgrade from the hard bunk with mosquito netting in a room open to the jungle - no windows, no electricity and a basin with muddy Amazon River water...with the latrine-style outhouse and community 55 gallon drum shower (also using muddy Amazon River water)...down the dock...that I experienced the last time. I will talk more about the ship after I am aboard. 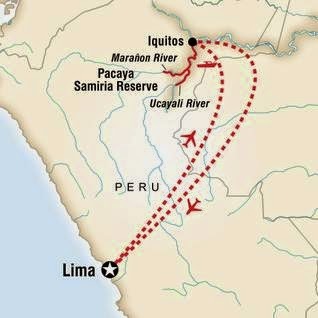 Once a board the ship it will be six (6) days cruising the Amazon, but not heading east as I did the last time (when I visited the Yanamamo and Napo River areas), but doubling back west to the Pacaya Samiria Reserve. 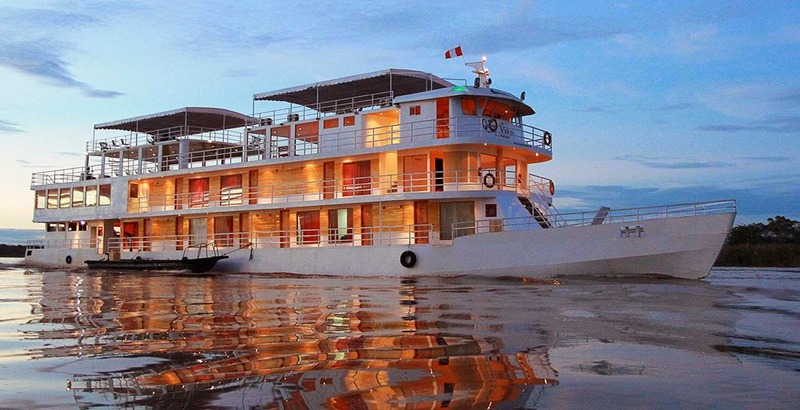 The first day will be spent sailing to the confluence of the Marañon and Ucayali rivers, considered to be the point where the Amazon River begins, where it should be possible to see monkeys, sloths, a variety of birds and the famous pink dolphin. Over the next five days, guides will lead jungle walks, give lectures and point out unique species of bird and marine life as we explore the smaller tributaries of the river. Two days of excursions in the Pacaya-Samiria National Reserve are designed to provide excellent wildlife viewing opportunities, and a chance to interact with the locals…including a local shaman. I had an experience with the locals on a far less structured basis the last time (some great stories are coming in the next articles! ), but I also endured what was a surprisingly touristic, but still very cool, demonstration of blow gun expertise. While I don't know how things will go with the shaman, I don't think I will be trying to bring back a blow gun again, as in 1986 the airline said it was a weapon (a wood vs. pvc pipe, but OK, I guess!). We will also go piranha fishing Last time I brought my own rod, but not this time (though I did catch some pretty nice fish other than piranha). I know the technique to use, but will let you know about that when it happens! 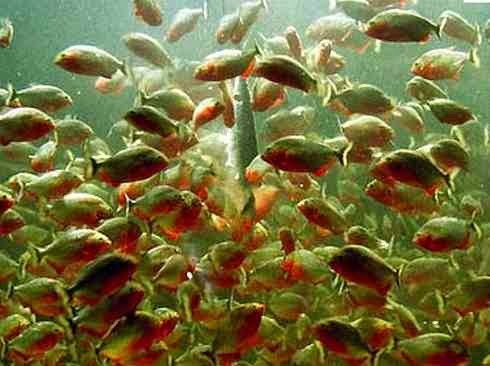 And, of course, swimming in the back waters - with all of the folklore - and truths - as to its dangers is also on the agenda. Something I am really looking forward to is exploring the mangroves in a dugout canoe. I hope we visit some of the areas with giant lilies that are six feet or more across, as I did last time. We will also visit the Sapisapi River to look for charapas and other turtles. 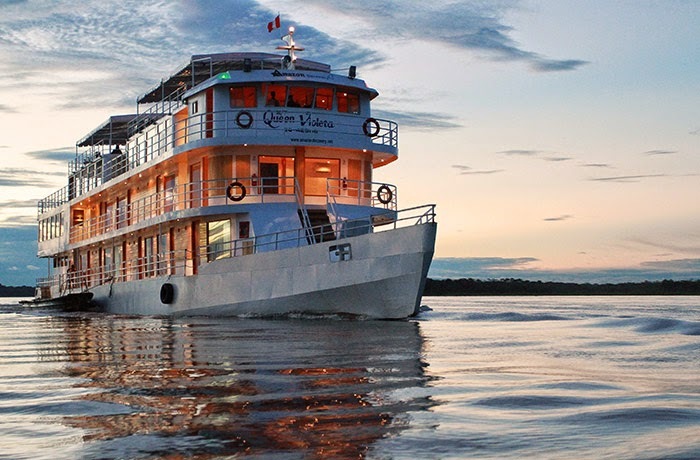 There are more than a few clients that I have urged to go deeper into the Amazon than Manaus, Brazil; heck, how pristine can it be when they are playing World Cup football (soccer) there entertaining tens of thousands of fans. That is why I regularly suggest that if you want more than a "taste", less of a "tourist" experience, and to experience the "real deal", Iquitos, Peru is your better jumping in point. Now, speaking of G Adventures and its evolution into the luxury expedition market, I want to make you aware of its Galapagos luxury cruise experience. Its 32 passenger ship provides true luxury accommodations - something one luxury line is struggling mightily with - with many of the amenities that are difficult to find in the Galapagos. While I will be talking more about the Galapagos opportunities later, now is the time for me to get packing for my Amazon experience! If you are interested in any G Adventure tours or cruises, please drop me an email at eric@goldringtravel.com or call me at (877) 2GO-LUXURY...but wait until after July 27th. Internet and telephone are not prevalent in the Amazon!